The big question Israeli leaders are asking is this: Why exactly is President Obama really coming to Israel on March 20 and 21? 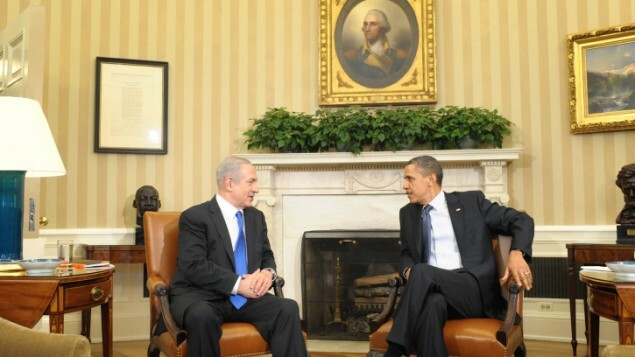 It is reported that the White House won’t be bringing a new Arab-Israeli peace plan. Given the budget strains in the U.S., it is unlikely the President is bringing new funds for Israel. As I noted last week, some are hoping the meetings will produce a re-set in U.S.-Israeli relations, while others worry Obama is coming to put new pressure on Israel to divide Jerusalem, not deal decisively with the Iranian nuclear threat, and make other unwise security choices. Israeli Prime Minister Benjamin Netanyahu on Sunday put the upcoming presidential visit in the most positive light. He told his cabinet that he and President Obama have agreed on three topics to discuss during their time together. First, how to stop Iran from getting the Bomb. Second, the implosion of Syria and its implications for U.S. and Israeli security. Third, how to make peace with the Palestinians. However, several major Israeli media outlets are quoting sources saying Mr. Obama is coming to prevent Israel for striking Iran. Are these reports accurate that an American President is intensifying pressure on an Israeli Prime Minister to prevent him from launching a massive preemptive military strike to neutralize Iran’s nuclear threat? I can’t say for certain, but as I read these stories this morning they reminded me of the plot of The Tehran Initiative, in which the Israelis launch a first strike despite intense White House pressure, and my forthcoming novel, Damascus Countdown, which imagines the Iranian and Syrian blowback from an Israeli first strike. It’s anyone’s guess how this real life drama will play out, but I’d say we’d better keep praying for peace. >> The President’s going to Israel this year — so is the Secretary of State — how about you? Come with me and The Joshua Fund on a “Prayer & Vision Trip” to the Holy Land and to the 2013 Epicenter Conference this summer. For more details, and/or to register, please click here. Watch the interview I did in San Diego last week analyzing the Israeli elections and discussing threats facing the Jewish people in 2013.